PRODAC offers a variety of services and product support models that are available either as part of the product package or as separately purchased options. PRODAC’s comprehensive, in-depth training ensures that all relevant personnel are equipped to utilize, maintain, and gain the maximum benefit from PRODAC software. Training is available for groups, for individuals, and as role-based courses. It can include initial on-site training prior to implementation, as well as periodic updates and refresher courses. PRODAC solutions can be tailored to a plant’s specific requirements, including site plan and configuration. PRODAC solutions can be easily interfaced and integrated with a plant’s equipment, as well as with ERP (including SAP®), LIMS, supply chain, and maintenance systems. PLCs and sensors can be easily added and interfaced, as required. 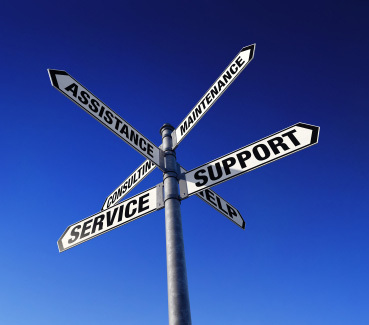 Telephone, e-mail, and on-site support is available for the life of the product. PRODAC also provides extensive product documentation. Renewable maintenance contracts are available. As the recognized leader in filling and packaging for the beverage and brewery industries, PRODAC provides global consulting services – including turnkey project development, as well as planning, implementation, and problem-solving. In today’s economic climate, where every penny counts, flexible PRODAC solutions can significantly cut costs. -PRODAC solutions can work with any type of line and any kind of machinery, and can assist with software and PLC upgrades. -Using PRODAC software with existing equipment can enable plants to avoid the expense of establishing new lines. -Using PRODAC software, new lines can be created out of a mix of old and new equipment.